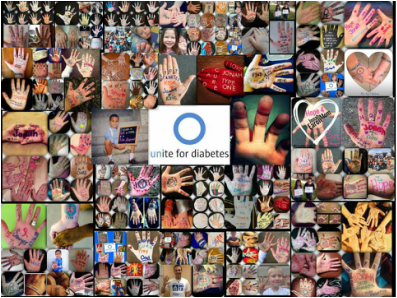 Welcome to the Yuba-Sutter Children with Type 1 Diabetes Support Group! The specific purpose of this corporation is to assist children, teens, young adults, and their families with diabetes and the diabetic lifestyle as well as create a support network for newly diagnosed diabetics and their families. This support group also provides families with a forum to communicate their needs, feelings, and thoughts. 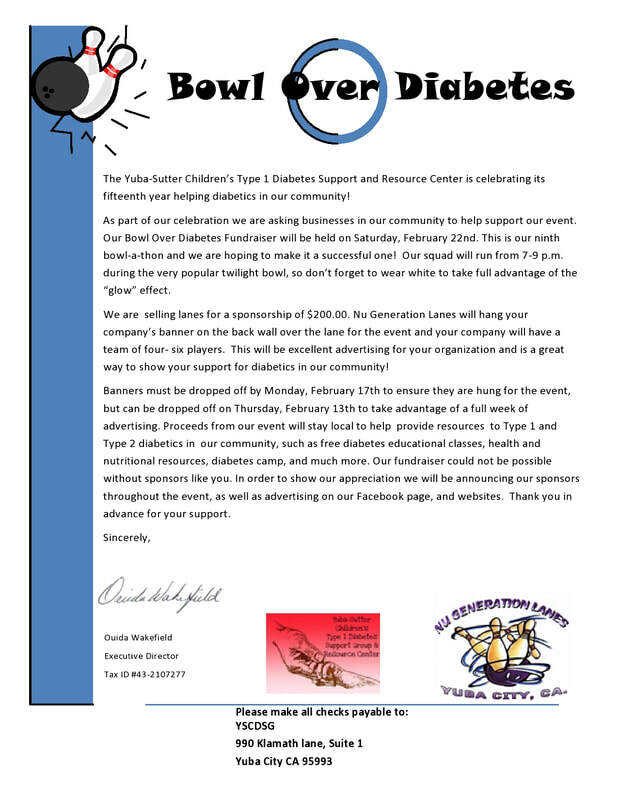 Further, the YSCDSG seeks to bring together medical professionals, pharmaceutical company representatives and a host of diabetic advocates face to face with parents and relatives of diabetic children, in an effort to assist with initial diagnosis and the ever changing circumstances that come with caring for a child with diabetes. No Meetings in Feb., April, June, July, Aug., Oct., and Dec.! Meetings are always FREE to attend! Once a day Twice a day Three or more What??? If you would like to be on our mailing list, please provide us with you Name, Phone, and email. Thank you to Adventist Health + Rideout for their generous support! Heard us on the radio? We have PSAs on KUBA, Sunny 95.5, KKCY 103.1, and 93Q. 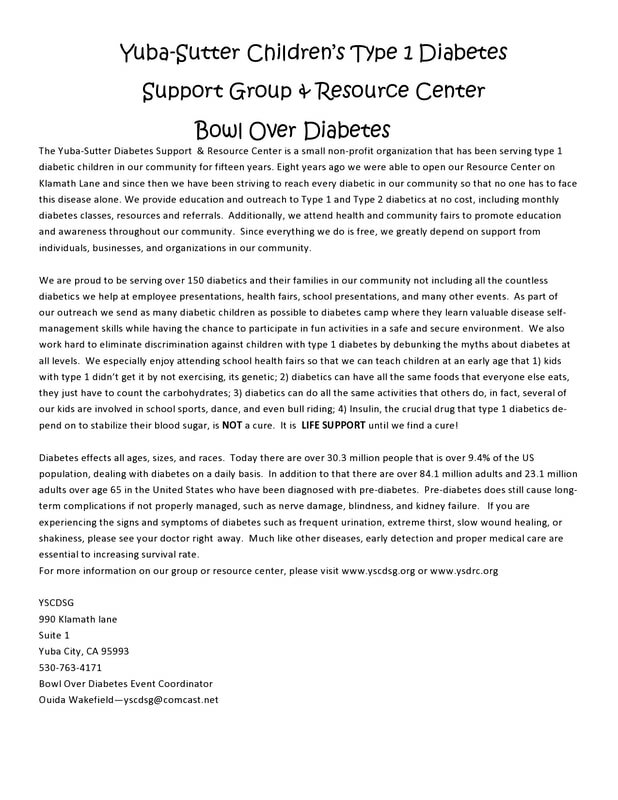 Click the button below to print out your Bowl over Diabetes Form.